I have never been one to celebrate my birthdays with parties. In fact I don’t think I’ve properly celebrated my birthday in the past 10 years. It would have been cake and dinner with family and that would be it and a few surprise presents from lovely friends. In a few short days, It will be my birthday again. And this time round, it feels different. This is where I kiss my 20s goodbye and cautiously embrace womanhood in my 30s. I’ve always felt despite being an legal adult since I turned 18, I was still a young adult, one exploring and learning through experience, allowed to to make many mistakes and a free spirit, not laden with responsibilities and obligations. In my late 20s I had more responsibilities, but even though I felt like I was a proper full adult, I could still take time out to be silly and be a bit wild once every a while. Now that I’m reaching a milestone date, mentally I have stepped across the threshold into a new paradigm. I feel the weight of responsibilities bearing on me more (though it is no different than the past few months), but there is a mental shift in my mind associated with turning 30. So readers, help me dissolve my fears of getting another year older, and celebrate with me a milestone as I continue along my life journey. It’s nerve-racking and exciting. I’m not sure what to expect in my 30s – hopefully exciting opportunities in love and career and in my ability to pursue my passions and all the things that bring me happiness and pleasure. No doubt beauty and blogging will continue to be an important part of it as clearly, it's one of those things I love dearly and I love sharing it with you. An early Happy Birthday! In my opinion the 30's are great, so much better than the 20's. You're older and wiser, more comfortable in your skin and more together. Aww thanks Su and Maddy - I've been freaking out about it for the past 3 months. 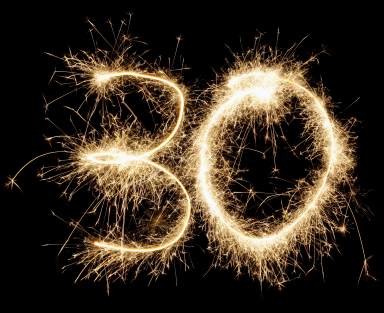 I'm not really ready to embrace the big 3-0 yet. Megan - thank you dear. I'm quietly optimistic but very nervous as well. JoyJoyc, Akisa - thanks lovelies. You look so very young, I hope I hold onto my youth like you have!